The Assiut Adventist Church, located approximately 220 miles south of Cairo, was attacked by a mob and heavily damaged after it was set on fire. “This was a small group of people bent on doing harm. This event was not representative of Egypt or the people of Egypt,” said Llewellyn R. Edwards, president the Adventist Church’s Egypt-Sudan Field, based in Heliopolis. “As Adventists we want our relationships to be strong with Egyptians of all faiths in the country,” Edwards said. Muslim neighbors rescuing the Adventist couple shows “the true picture of most people in Egypt,” Edwards said. Edwards said the government has announced it will pay for the rebuilding of all churches destroyed last night during rioting in several cities. 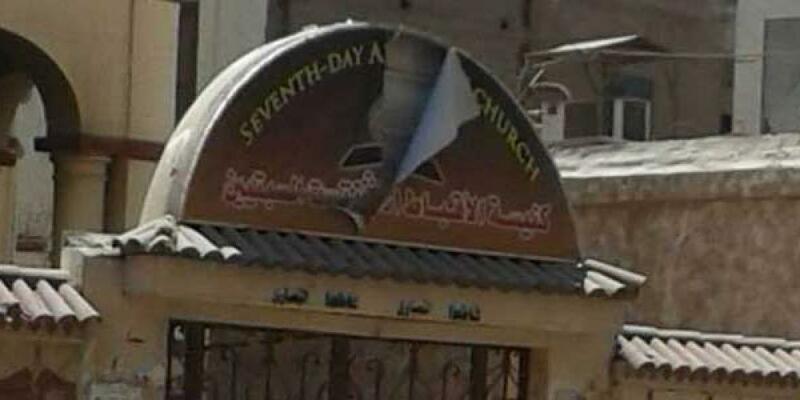 Several other Christian churches were also attacked in Assuit, as well as the shop of the Egypt Bible Society, Edwards said. The Adventist Church operates two schools in Egypt – Nile Union Academy northeast of Cairo, and Zeitoun Adventist School. Both institutions have positive relationships with their communities, Edwards said.